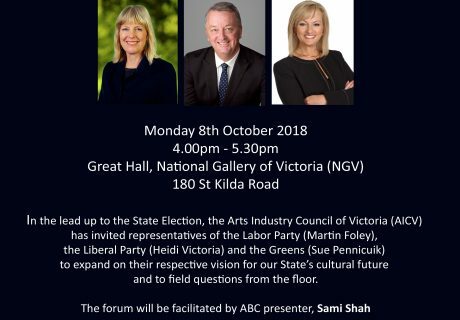 Members of the Arts Industry Council of Victoria (AICV) congratulate the Member for Albert Park, Martin Foley for his win in the State election. In this time of unique and exciting growth in the State, AICV looks forward to working with Martin, as the Minister for Creative Industries and the Andrews Government as a whole, to take the Creative State to a bold new level, to ensure a dynamic, diverse, cohesive and inclusive Victoria of the future, with creativity at its core. AICV also acknowledges the contribution of Heidi Victoria, the Shadow Minister, who narrowly missed retaining the seat of Bayswater. 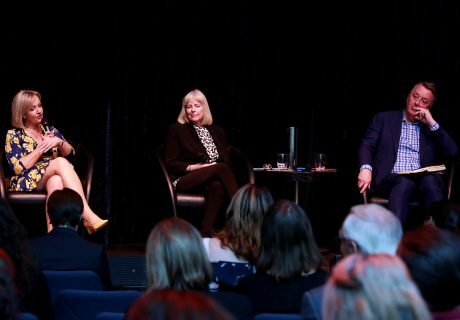 As both a practicing artist and Minister of the Arts under the Napthine Government, Heidi passionately advocated for initiatives including Melbourne Now at the NGV, the Collingwood Arts Precinct, and White Night, and was a strong supporter of music theatre in the State. 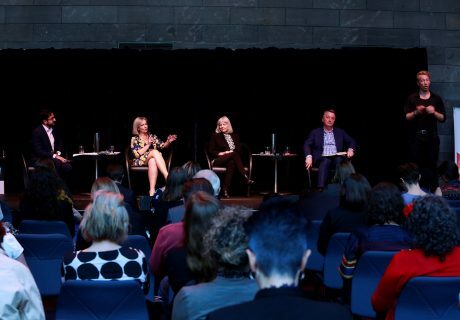 AICV member, Laura Miles is moving on from her role as Executive Director of Museums Australia Victoria to take up a new role as Director of the Police Museum. AICV acknowledges Laura’s incredible achievements in this role as a strong leader and indefatigable advocate. The community museums sector is in a better place thanks to her work over 10 years. We also thank her for the work as a previous AICV Co-convenor – in particular, her role as AICV representative in the development of Creative State. All the best Laura. Thanks to all who participated in the Forum: representatives of the Labor Party (Martin Foley), the Liberal Party (Heidi Victoria) and the Greens (Sue Pennicuik), Sami Shah and those who posed questions from the ﬂoor. Individual member organisation will be releasing subsequent statements as the election draws closer. 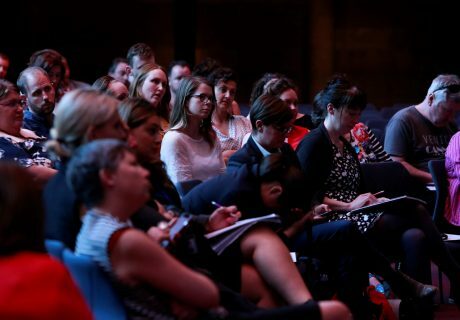 The Meeting of Cultural Ministers has launched a national consultation about arts and disability in Australia. The consultation will run until 3 December 2018. The consultation is the first step in renewing the National Arts and Disability Strategy in consultation with arts and disability stakeholders. This is a chance for artists with disability, organisations and carers to contribute stories and ideas about arts and disability. Individuals and organisations can make a written, video or audio submission, complete the online survey, or come to a face-face meeting. Consultation meetings will be run by an independent facilitator, DiverseWerks. Please RSVP to Rea Singh, rea@diversewerks.com.au or 1800 555 029. You can let DiverseWerks know about any access requirements, including if you require an interpreter. You can read the discussion paper, find out how to tell your story and see the calendar for consultation meetings on the Department of Communications and the Arts’ website. If you have any questions about the consultation, please email arts.disability@arts.gov.au or call 1800 185 693.